A secret agent is sent to Sydney, to find and destroy a genetically modified disease called "Chimera"
IMF agent Ethan Hunt has been sent on a mission to retrieve and destroy the supply of a genetically created disease called 'Chimera'. His mission is made impossible due to the fact that he is not the only person after samples of the disease. He must also contest with a gang of international terrorists headed by a turned bad former IMF agent who has already managed to steal the cure called 'Bellerophon' and now need 'Chimera' to complete their grand plan of infecting the whole world. In order to infiltrate and locate the terrorist group he relies on the help of an international thief Nyah of whom he quickly develops a love interest. Time is not only running out for Agent Hunt to find and destroy 'Chimera' before the terrorists get their hands on it, but he must also find 'Bellerophon' so as to save his love interest who has already become infected by the disease from a terrible and rapid death. The knife used in the fight scene at the end of the film is a Kershaw Amphibian. Incorrectly regarded as goofs: When Hunt overtakes Nyah in the car chase, his car is on her right, thus putting her on the wrong side of the road. This is because she is taking evasive action. 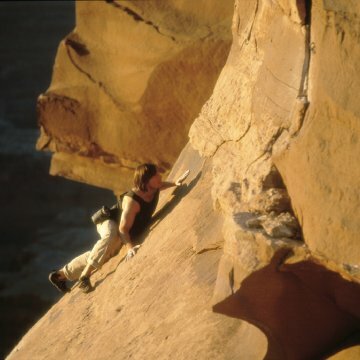 Ethan Hunt: Don't you think we should wait a decent interval? Nyah Nordoff-Hall: Who wants to be decent? Mission: Impossible was a fast paced espionage thriller that actually made you think, which is what I like in a movie. 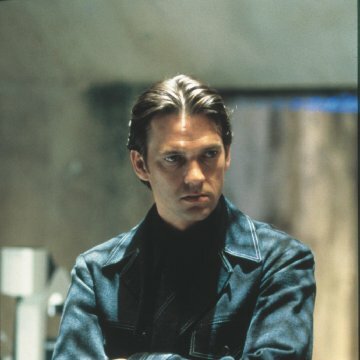 Since John Woo, who is one of the kings of the action genre, took over for Brian De Palma, you can expect Mission: Impossible II to be an intense action movie with a majorly dumbed down plot. Everything to do with the plot is laid out for us basically right away. Now, all there is to do is sit back and watch those classic John Woo action sequences. 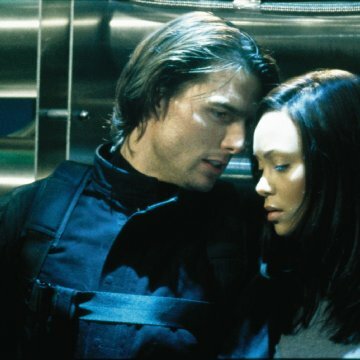 In this movie, Ethan Hunt is once again a secret agent, and he is sent on a mission to stop a crooked agent from stealing a deadly virus for his own use. I liked the first Mission: Impossible better because it had a more advanced plot. This Mission: Impossible is just a bland shoot 'em up action film. Now there's nothing wrong with that. The movie was still immensely entertaining. It just didn't fit in with the first film. Even the character of Ethan Hunt, though still played by Tom Cruise, is different. In this movie he doesn't seem as serious about his job. He's more cocky. However, I do like that the character now has absolutely amazing skills in hand to hand combat. Overall, if you're looking for a smart spy thriller like the first film, this ain't it. If you're looking for a fun action film with amazing action sequences, this is it.